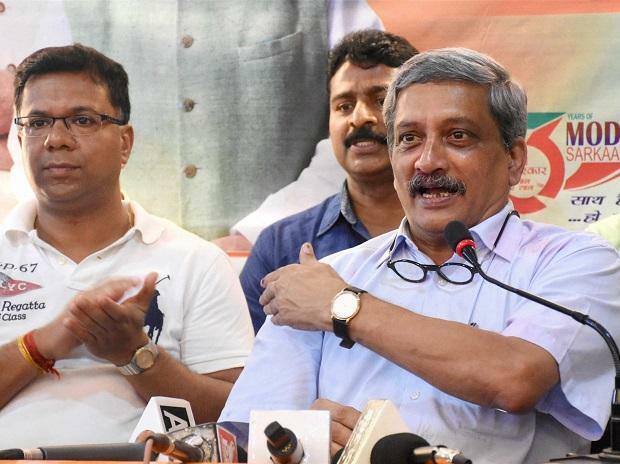 Goa Chief Secretary Dharmendra Sharma on Saturday filed an affidavit stating that disclosing the health status of Chief Minister Manohar Parrikar would tantamount to breaching his privacy as an individual. The affidavit was filed in response to the Congress party's petition claiming that Goa is facing a leadership crisis due to Parrikar's ill health. "There cannot be any larger public interest in disclosing the personal details of any person. I say that the health problems of a person cannot be subjected to scrutiny as the same amounts to unwarranted invasion on the privacy of a person. I say that if the contentions of the Petitioner are accepted, the same will set a very dangerous precedent where everybody\anybody will start asking for all medical records of persons occupying high offices using the masquerade of public interest. I say that it will be impossible to draw a line on what health problem, howsoever minor or major, should be disclosed to the public", the Chief Secretary's affidavit read. For long, Congress has been demanding that it should be allowed to form the government in the state. Responding to the claims on leadership crisis in the state, Sharma in the affidavit stated that Congress petition entirely cites and relies on newspaper reports and social media. "The reliefs claimed cannot in any manner be granted on the mere ipse dixit of the petitioner which in itself is inconclusive and is not based on clear-cut facts," the affidavit read. Denying allegations of the Congress that two senior BJP office bearers are clearing files of the Chief Minister by forging his signature, the affidavit read: "The extent orders of the disposal of Government business clearly specify the responsible officers and process for obtaining and conveying the decisions of the Chief Minister. Inasmuch as the Petitioner has alleged the aforesaid, without disclosing which officers had stated so or as to which persons are forging signatures, the contents thereof. Further, the said averment is also defamatory to a mainstream political party, who has not been impleaded into the present petition." The Goa Chief Secretary also added that the Chief Minister chairs regular cabinet meetings and various decisions are taken in the cabinet meetings. He also said that Parrikar has also been meeting MLAs as well as Officials and is apprised of administrative matters. In his concluding statement, Sharma said that just because a person occupies a high office does not mean that his fundamental rights are "suspended, surrendered or obliterated". "I say that it depends on every individual and his family on whether and to what extent any personal information should be disclosed at all. I say that no personal information should be disclosed at all. I say that no person should be compelled to put out his health details in the public domain. I say that it is well settled that the right to privacy is a fundamental right under the Constitution of India. I further say that as much as any other person who may not occupy any public office has a right to disclose his health problems to the public, if a person is directed to disclose his health ailments to the public merely because he happens to be the Chief Minister, the same would be a violation of the right to privacy under Article 21," the affidavit read.